From Coachella vibes to picture-perfect in all-white. Maxene Magalona and Rob Mananquil are officially husband and wife! 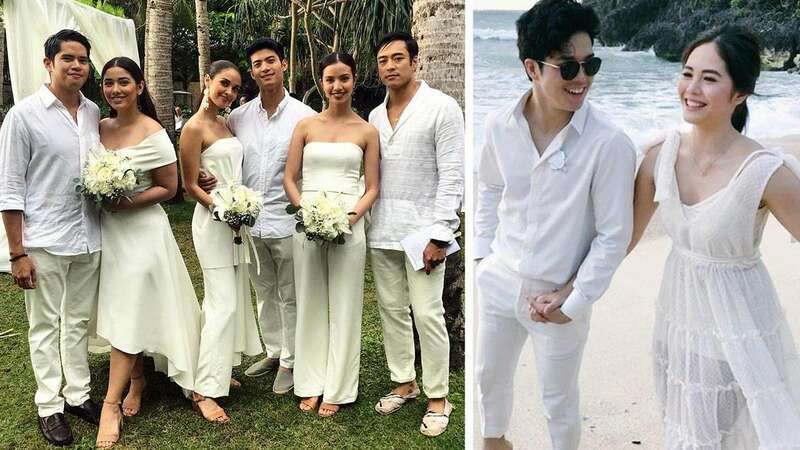 The couple celebrated their union with a pre-wedding Coachella-themed dinner on Wednesday night (January 10) and then tied the knot in an all-white outdoor ceremony this afternoon (January 11). From the ~Coachella~ vibes of the previous night's pre-wedding party, the guests dressed to impress in all-white. Proof that you CAN have an all-white wedding (as long as the bride gives the okay, of course! ).